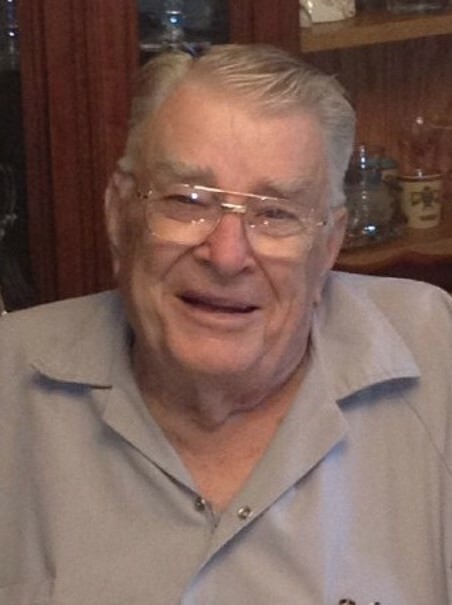 Toney Preston Brown, age 93, of Niwot, Colorado, passed away on January 24, 2019. Toney was born July 23, 1925 to Eugene Spurgeon Brown and Rose Lee Brown on a sharecropper farm west of Pampa, TX. Toney was the third of five children. His older brothers, Eugene Spurgeon Brown, Jr. and Rex Nelson Brown have previously gone on to be with our Maker. His youngest brother Perry Dale resides in Hubbard, TX with his wife Katy Brown and his only and younger sister, Mary Jane, who was born after the family moved to farmland west of Tulia, TX in 1934, resides in Kingwood, Texas, with her husband James “Uncle Buddy” Wilson. Toney joined the Navy on October 23, 1942 and was discharged on April 4, 1945. He spent a lot of that time convalescing in CA after being hit in the leg by Japanese aircraft fire while he was stationed in the Pacific. After his service, he always had to wear a leg brace and he had a noticeable limp for the rest of his life. He married Iris Jewel Dooley of Canyon, TX on September 8, 1946 and while in Canyon, they had sons, Lary Preston and Garry Gene. They then moved to Bellaire, TX where they had daughter Toni Diana and then moved into Houston, TX where they adopted daughter Nancy Jo. While in Bellaire and Houston, he taught college chemistry classes and he became the first non-Catholic to ever become the president of a Catholic college. Toney also became a dentist, practicing in Bellaire and after his retirement, he and Iris made their final move to Niwot, CO. Iris preceded him into GOD’S hands on August 5, 2011. As anecdotes, their almost 65 year marriage must have been based upon their ability to compromise. Toney was raised in the Church of Christ and Iris was raised a devout Baptist. Perhaps their first major disagreement was resolved when they baptized their first son as a Methodist. Farm born Toney, who went on to achieve post college graduate degrees, was a very strong believer in education. He even used Burma-Shave signs to help his children learn to read while on trips between the Houston area and the Panhandle. Lastly, Toney absolutely loved to fly, so in hindsight, he might have been better off joining the Army where his chances of becoming a pilot could have been greater, since the Air Force hadn’t been established yet. Back then, it didn’t much matter to Toney whether the landing strip was at a designated airport or, as in his younger days at a rural airport, which he designated to be a cow pasture or the dirt road just east of the Tulia farm. In any case, all his children are thankful that they weren’t around to accompany him when he first learned to fly. All four children who survive him completely agree that he was the best Father anyone could ever have and they’re all the better off for having been raised by him and Iris. His and Iris’ type of parenting just isn’t very commonplace anymore. His children also believe that he is in a better place now, having been reunited with GOD, Jesus, his wife, his parents, his brothers, and all of his ancestors. Toney was and is the epitome of the best Father, husband, son, and brother of any man who ever lived. Services for Toney will be held at 10:00 AM on Saturday, February 2, 2019 at Brooks Chapel, 1702 5th Avenue, Canyon, Texas 79015 with Rev. Rick Enns, pastor of the First United Methodist Church, officiating. Interment to follow at Dreamland Cemetery. The family will receive friends on Friday, February 1, 2019 from 6:00 to 8:00 P.M. at the funeral home. Arrangements are by Brooks Funeral Directors. Glory be to GOD in the highest.